WATCH How close is the migrant caravan to the US border and who is really in it? The bride wore red, the color of the resistance movement. 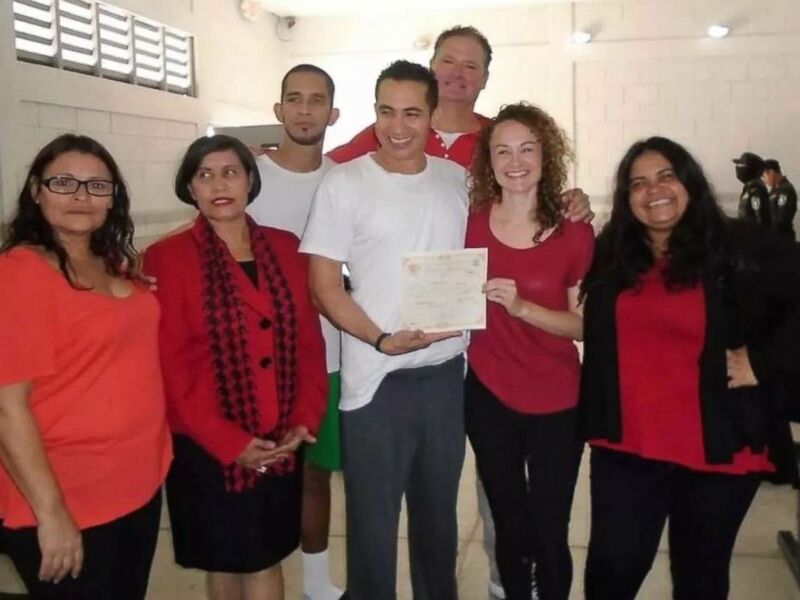 The groom wore the gray pants and white T-shirt required of inmates at La Tolva, the maximum-security prison where he has been held since January for protesting against repression in Honduras, the country from which the majority of the migrants in the so-called caravan making its way to the U.S. border have fled. But on Oct. 18, they tied the knot in front of a few witnesses, including another political prisoner, and armed guards wearing balaclavas over their faces. Instead of being filled with hotel and rehearsal dinner information, the couple's wedding website shows the prison's stark gray buildings. 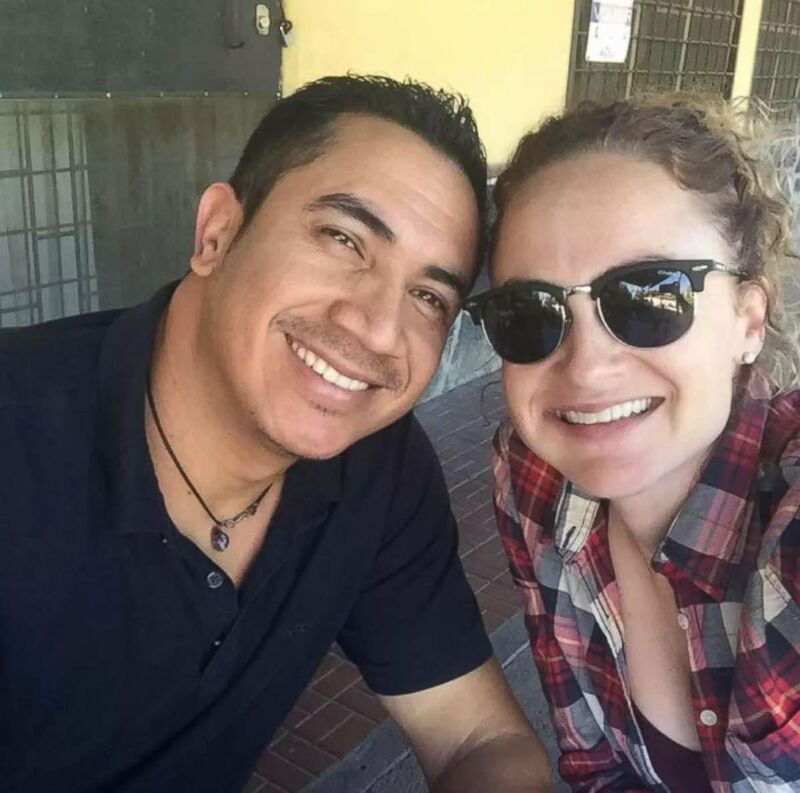 Political prisoner Edwin Espinal married human rights activist Karen Spring in a prison in Honduras, Oct. 18, 2018. "We weren't allowed to have a camera. I wasn't allowed to wear any jewelry," Spring told ABC News. "Behind us, there were masked police officers and military. 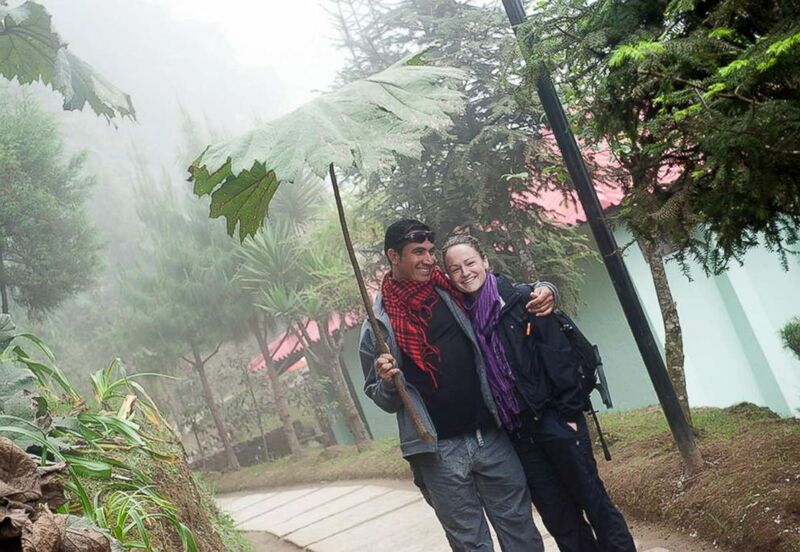 We got married in a hostile environment, but we tried to make the best of it." 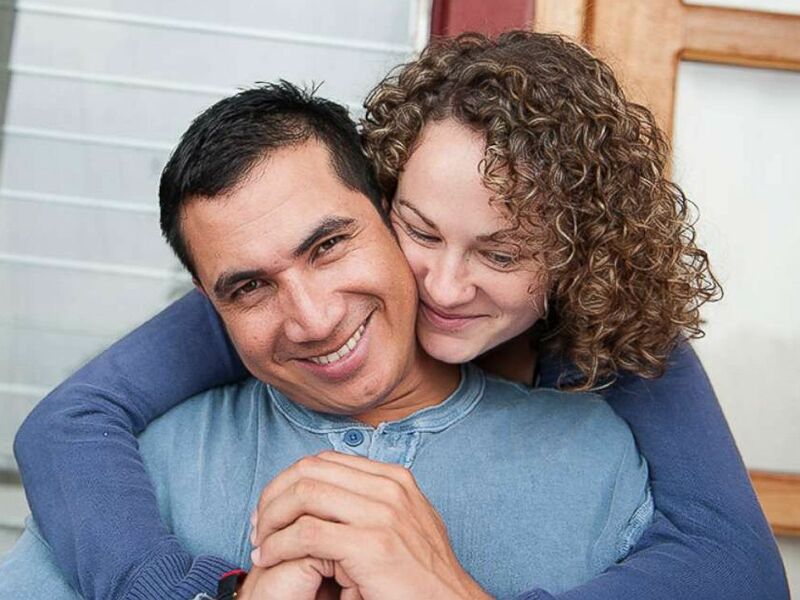 In the months before their wedding, Spring and Espinal's visits had been sporadic. The phone service in the prison went down in April after a prison uprising, she said, and Espinal isn't allowed paper, so the couple communicates through notes he is able to scrawl on toilet paper with a contraband pen. 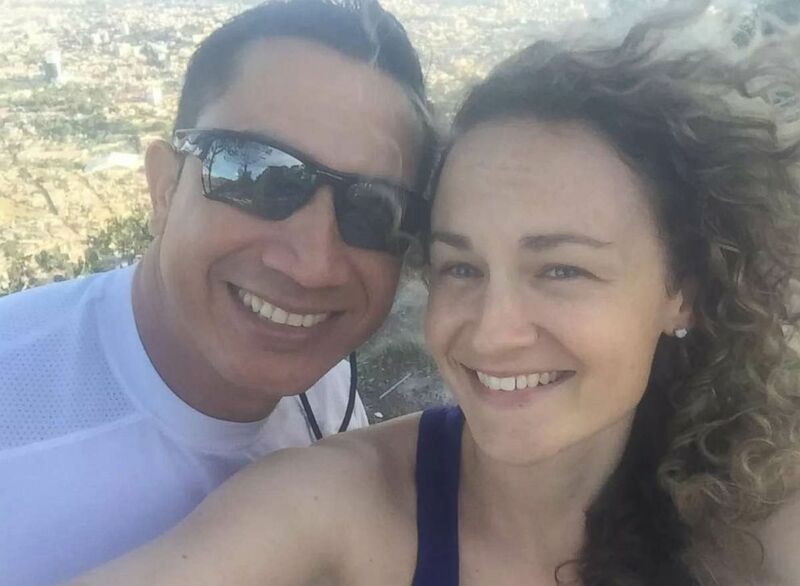 The couple's plans for starting a family have been put on hold as Espinal languishes in pre-trial detention in a facility usually reserved for violent criminals. "Edwin's conviction is really strong. If you talk to him, he says, 'I know why I'm here. I'm a political prisoner amongst really dangerous people in this jail. We were fighting for change in this country and going to jail was part of that process,'" Spring said. "He's really clear about it, and that gives me a lot of strength. It makes it easier, almost, because I know he has that strength." In January, the Public Prosecutor's Office filed charges of arson and other damage to property, aggravated damage and using explosives and homemade incendiary devices against Espinal and fellow human rights defender Raul Ordonez, according to Amnesty International, and the two men appeared at an initial hearing on January 20 and 22 at a court that's usually reserved for organized crime cases. A spokesperson for the Public Prosecutor's Office declined to comment on Espinal's case at this time. In 2016, U.N. experts called it "one of the most hostile and dangerous countries for human rights defenders." Human rights defenders routinely "suffer threats, attacks, and killings," a 2018 Human Rights Watch report found. The government's "response to the post-electoral protests led to serious human rights violations," according to the U.N.. Dozens were killed and more than a thousand were arrested, according to the U.N., including Espinal and Ordonez. After being arrested on charges of arson and other damage to property, Espinal and Ordonez appeared at an initial hearing before a court that's usually reserved for organized crime cases, according to Amnesty International. Since then, there has been a lack of transparency about the status of their cases and their lawyers have not been able to review important materials or meet with them regularly, Amnesty International found. Spring, a human rights defender from Canada who has lived in Honduras for years, said her husband's plight highlights the stark reality at home that has led many Hondurans to turn to their last resort -- fleeing north -- after trying to change their country through the ballot box. "People are fleeing in the caravan because they know there is a significant cost here internally to protesting, so that's why they're fleeing to the U.S. border as an alternative to protest," Spring said. "If they stay in Honduras and protest, they face the same conditions that Edwin and the 13 other political prisoners face, which is harsh conditions and basically no due process." 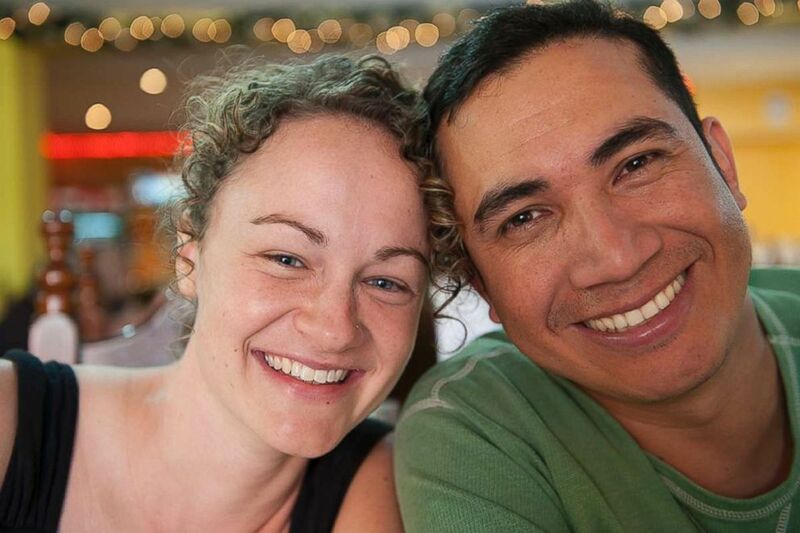 Spring spoke with ABC News from the couple's home in Tegucigalpa, the capital of Honduras, about her hopes for their future and why she understands the migrants' journey. For me, it was a commitment to continue fighting for him and to take care of things that he can't do for himself because he is in prison, and the accompaniment of the other families of political prisoners. So it was a commitment to him as my partner and a commitment to the bonds of how we met, the way that our relationship has grown and developed over time largely because of our compañerismo in the struggle in Honduras. Spring: I hope I don't cry. I met Edwin shortly after his partner, Wendy Avila, was killed during a big eviction and repression outside of the Brazilian embassy when overthrown President Manuel Zelaya snuck back into the country shortly after the coup and had to seek refuge inside the embassy. So I met Edwin a couple of months after he buried Wendy. She died of respiratory problems after the gassing and repression outside of the embassy. 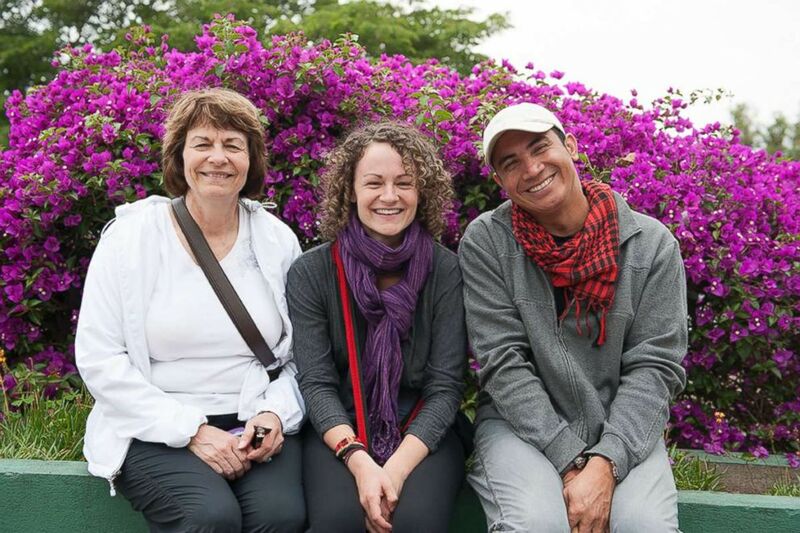 There are about 300 people who leave the country quietly per day in Honduras, and it's not something that hits the media, but it's something that's been going on a long time. But they see the caravan as a way of saying, 'Well, if the U.S. wants to keep propping up a government that doesn't work for us, that we don't want, then our only option is to flee to the border, and we'll do it in mass numbers.' So that's what the caravan is doing ... It's another strategy, planned or not, to raise the issue that they can't live in their own country anymore. Spring: Definitely. 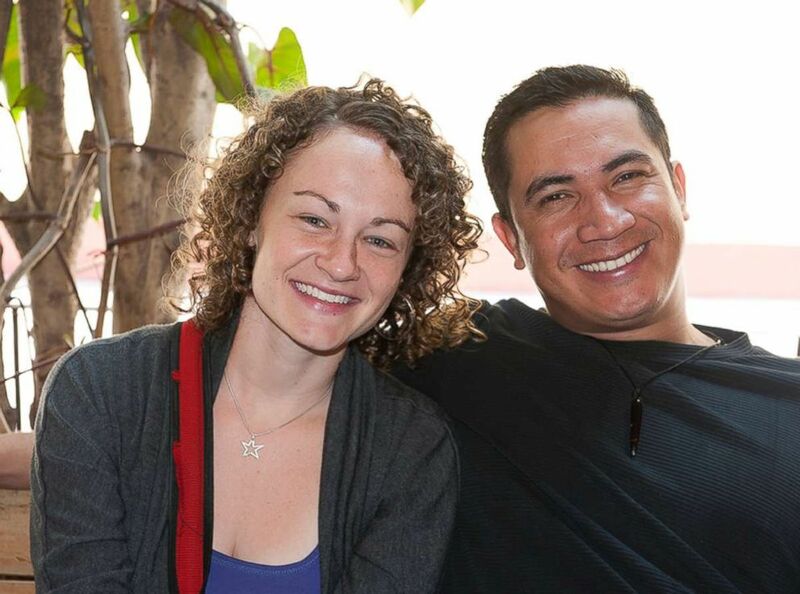 That was one of the things we decided: we were going to really wait to celebrate our marriage until he is free and he's out and we want to celebrate it on our own terms, not on the terms imposed on us by the Honduran government and the maximum security prison. We will definitely have a celebration. It's difficult for us to talk about it because we have very little communication -- there are no phones in the prison -- but we want to celebrate with people in the movement and the people who have kept the issue of political prisoners as a relevant national theme. The people who have been next to us since the 2009 coup. We will definitely celebrate. We are hoping that all of the political prisoners will be freed. Spring: This has been one of the hardest and most difficult experiences of my life. As I have been fighting for his freedom, I have faced persecution from the government as well. They have tried very hard to silence me and the campaign. And it's so hard to imagine what it will be like to have him free. But one of the things we want to do is just spend time together. To have an opportunity to talk and spend time together in a warm environment that isn't cement walls and handcuffs and locked doors. So I think I just look forward to him being able to be outside, for us to spend time together, have him at home, the everyday stuff. Just to have him around, that's what I want.